Katie Garibaldi, Photo Credit: Megs Marvels PhotographyChristmas is the most magical time in the city. 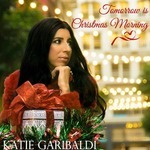 It's also a time for self discovery and discovering new talent like indie singer Katie Garibaldi. She's has a soud all her own that has been described as a cross between folk, country, & chamber pop. Katie just released her ninth album, Home Sweet Christmas, a collection of original holiday and faith themed songs. Filled with lots of emotions and love, this album will surely be one to listen to whenever you need a lift! Home Sweet Christmas is available via iTunes and Amazon! 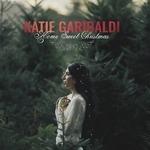 For more on Katie be sure to visit https://www.katiegaribaldi.com and follow her on Facebook, Twitter, Instagram, YouTube, & Spotify! Photo Credit: Megs Marvels Photography1. Who or what inspired you to become a singer/songwriter? I feel like being a singer and a songwriter is who I’ve always been, ever since I was a young child. I would constantly make up melodies in my head and want to sing them, even making up lyrics that didn’t quite make sense. But usually I would have pieces of songs and just wasn’t sure what to do with them. I wasn’t really conscious about it; it was just the way my world was—always humming and always thinking of lyrics. But my mom would play the piano and sing in the house, so without a doubt I’m sure that musicality sunk into me. I grew up listening to a lot of different musical influences, including the Beatles and Michael Jackson. When I learned the guitar around age 11, that’s the moment I remember consciously wanting to write songs and to use the guitar to pull those songs out of me and actually give them life. 2. Why did you want to record a Christmas album? I like a lot of music, but by far, Christmas music is my favorite. I love the way it puts you instantly in good spirits and personally, it takes me back to the best childhood memories from the holidays. It was kind of this dream of mine in the back of my head to write my own Christmas album, but I didn’t want to feel pressured to write it just for the sake of having a Christmas album out. I wanted the songs to be true to my voice and just come in its own time. So last year I wrote "Tomorrow is Christmas Morning" and released it as a single, which is also on the album. Ever since I wrote that song, the other songs just naturally followed and pretty quickly I had these 11 original songs so I thought, ok, it’s time to make that album! Katie Garibaldi, Photo Credit: Anna Haas/Red Hare Photography & Design3. I love how the album is primarily original songs with a few traditional tunes mixed in. What was the hardest part about writing this album? Which song just flowed out of your so effortlessly? Thank you! All the songs are original and then I also added "Silent Night" at the end because I’ve always wanted to record my own rendition of that classic since it’s my favorite. There was actually no hard part about writing this album. All the songs were really fun to write and I remember getting excited about each one as the inspiration was coming to me. The songs came about in different ways, some with the melody first, some with the guitar chords first, and sometimes I wrote the whole song just singing it in my head before even picking up the guitar. I never forced anything or sat down like an appointment to write a Christmas song. I wrote this album in the same exact way that I write every one of my other albums. I just let the muse take me where it leads, and it just so happened that every time I opened my mouth to sing, a holiday or faith-themed story would come out. It was pretty funny because the inspiration would surprise me, since I’d be writing a holiday song in like March, so it feels almost weird taking credit for it when it’s sort of an out of body experience when I’m writing a song. 4. One of the songs on your album Home Sweet Christmas is "Jesus Touched My Heart." When have you specifically felt like Jesus has touched your heart? When you give your life to Jesus, there is no day that he doesn’t touch your heart because he’s carrying you. That’s how I feel. I have bad days all the time but I think my saving grace is knowing that God is with me and has been there all along. He’s in my heart so as long as my heart is inside me, He’s there too. I just have to remind myself to keep my heart turned towards Him. I’m not usually so vocal about my faith because it’s always been something so personal and special to me, that it’s like I almost wanted to keep it between me and God. But this album gave me the space to talk about my spirituality a little more and I think no matter what religion you are, you can relate to the messages on the album because the holidays are supposed to be a time of giving, forgiving, and giving thanks. I believe Jesus touches my heart every time that I’m given the opportunity to sing the songs He’s placed in my hands. Music connects us to each other. 5. Another song is your latest single "Tomorrow is Christmas Morning." What is your favorite part about waking up on Christmas Day? I think Christmas morning is the most magical and special time of December 25th. As a child, the best part of course was waking up and running down the stairs with my brother to see what Santa brought us. My parents went all out! We had so much fun. Now that I’m older, I’m obviously not awaiting Santa Claus anymore, but that same joy and anticipation for the day still remains. Now running down the stairs has turned into making coffee with my husband in our Christmas mugs and sitting by the tree, and then visiting our families to laugh about all the silly things we get each other. If every morning was like Christmas morning where we all wake up feeling excited and happy, just think about how great each day would be. 6. One more tune on your album is "Unhappy Holiday." What has been your worst Christmas ever? I’m sure there was a teenage year or two that I wasn’t particularly excited about the holiday, just for the reason alone of being a teenager haha. But I don’t really remember that. There have been a few recent holidays that I wouldn’t call the worst, but they were just harder because loved ones were missing. It’s during Christmastime when you really feel the absences of family that isn’t here anymore. Katie Garibaldi, Photo Credit: Megs Marvels Photography7. You also do a beautiful cover of "Silent Night." How do you enjoy spending a quiet night in by the fireplace? (and if you don't have a fireplace, let's pretend you did because this song always makes me feel like one should be in front a fire place listening to it). That is so true! We do have a fireplace, but we haven’t lit a fire in some time. I think we are due! A goal for this Christmas! Well for me, the best part is sitting in front of the fire with fuzzy socks on and letting your feet warm up. And the other great part is the crackling sounds. I could listen to that all night. 8. What are your top five favorite things to do during the holiday season? I would say sing Christmas songs, get a Christmas tree, bake, watch my family open their gifts, and then be super lazy the day after Christmas if at all possible. 9. What is your Christmas wish for 2017? My wish is that people will listen to this new album and hear the songs I wrote. I spent the first part of the year writing them and then we started the studio work in June. It’s been a whole year of a lot of heartfelt preparation and I just want to share the songs with everyone. My wish is that they’ll listen to Home Sweet Christmas throughout the year, and not just during the holiday, since it hopefully puts you in good spirits. 10. Since your album is called Home Sweet Christmas, what is your most cherished Christmas memory? There are a lot of favorite memories I have from Christmastime, both from childhood and in adulthood. I’m lucky! I have such an incredible family and husband. But the first memory that just popped into my head is decorating the house and tree as a kid while my parents had old holiday records on and we would all sing with them really funnily and just crack up at how much fun we were having. My mom had bins and bins of Christmas decorations we would put up every year. It was pretty funny—just so much Christmas! It was the best. Those are the moments I’ll always cherish. Katie Garibaldi is a San Francisco, CA based singer/songwriter and guitar player who has been releasing music independently for about half of her life thus far. 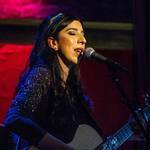 Elmore Magazine describes Katie's sound as, "sweet, smooth music that is equal parts old‐school pop princess and folk songstress." The songwriter has a characteristic musical style wherein her country‐tinged dreamy folk gives her a distinct sound—ethereal Americana with sparkling memorable melodies. But this prolific artist continues to stretch the boundaries of any genre’s walls with the release of her new full-length album this holiday season, Home Sweet Christmas, a collection of original Christmas songs that embrace Katie’s operatic vocal prowess and soulful folky affection, but also songs that branch out into traditional country and even gospel atmosphere. Her latest release, prior to Home Sweet Christmas,Rooted Clarity, recorded in Nashville, TN, is an EP that houses five songs which focus on self‐discovery and faith and combine Katie’s folk‐driven roots with a mix of classical and country string arrangements together. The sonic result delivers an effective and effortless sound that perfectly highlights the singer’s trademark, soulfully vibrato-smitten and sometimes operatic voice. This mini album, available everywhere and also released on limited edition 10” HIFI vinyl, has garnered Katie dazzling reviews from the press, including No Depression, who writes, "Katie sings with vibrancy, hitting high notes even Joni Mitchell would appreciate. Katie packs a wonderful folky extravagance. This woman doesn’t have to prove a thing to anyone – she is a powerhouse driven by an intoxicating vocal tone. It reaches heights that are so easy on the ear that it’s a treat, a pleasure to listen to. The voice – free of bombastic notes – is just pure musicality." The Daily Country says, "Garibaldi’s light as a feather vocals exude a strength that makes you want to believe in yourself and pursue your dreams and most importantly, gives you the courage, and clarity, to be yourself, trust yourself and allow yourself to fly." The sweet soprano weaves between airy and operatic delving into the emotional depths of the stories behind these five brand new original songs, one of which, "I Am," premiered on The Boot, the top source for the latest in country music. Katie GaribaldiAnother standout song from Rooted Clarity, "Delightful" has become highly identifiable with Katie Garibaldi, even lending its name to describe her sound in many instances as "delightful Americana." "Delightful" has received a plethora of positive reviews as well as a nomination in the 2016 Hollywood Music In Media Awards. 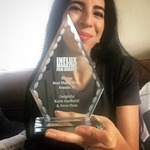 And the song's official music video, filmed in Nashville and directed by Anna Haas, has taken the international independent film festival market by storm, gaining multiple nominations and awards. Since its worldwide premiere on The Alternate Root in August 2016, it continues to screen at film festivals internationally and the video has earned its own reviews from film blogs and critics, including Top Shorts film festival’s Les Brandt, who says, "Haas and her crew did a great job of becoming ‘secondary’ to this video and allowing Garibaldi to shine. Mission accomplished! One word, wow…" Indie Spoonful, writes, "Katie got the title right because this song and its video are a pure delight from beginning to end…The video takes us on a journey of self-discovery." And Skope Magazine declares, "With a hushed reverence for the world is the gentle spirit of Katie Garibaldi’s ‘Delightful.’"
Katie GaribaldiOther accomplishments for Katie Garibaldi since the release of Rooted Clarity include the LA Music Critic Award for Female Country/Americana Artist for 2016 as well as Female Americana Artist of the Year from the Indie Music Channel in 2017. 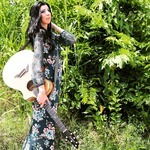 The indie artist was also featured on Acoustic Guitar magazine's "Acoustic Guitar Sessions" with a live performance video sharing her songs and the stories behind them. The rootsy songstress' previous release in 2014, Follow Your Heart, recorded at Tiny Telephone Recording Studios in San Francisco and engineered by Ian Pellicci, is a country‐esque collection carrying her powerful message of the importance of having the conviction to follow one’s heart. The record includes performances by notable musicians, including the Magik*Magik Orchestra [Nicki Bluhm & The Gramblers, John Vanderslice, Glen Hansard], and Philip Brezina [The Brothers Comatose] on fiddle. The album brought Katie multiple songwriting awards as well as hometown credit for "Artist of the Month" by The Deli Magazine SF. Follow Your Heart also gained esteemed reviews, such as Guitar Player magazine calling Katie "a gifted songwriter with a gorgeous voice," and praise from Music Connection magazine, who says, "Garibaldi is blessed with a sweet and pure soprano, and we hear a sincerity in this artist that is real." Her earlier work, including pop-country inclined album Next Ride Out (2009) can be found at digital stores. Katie Garibaldi, Photo Credit: Anna Haas/Red Hare Photography & DesignThis determined and enthusiastic national touring performer has been named a Music Connection magazine "Top 100 Live Unsigned Artist" and has acquired a devoted fan base over the course of her career, due in large part to her engaging live shows and personal connection to her listeners through her music. An active voting member of the Recording Academy, an endorsed artist of Breedlove Guitars (who worked with her to build a custom Master Class guitar), G7th Capos, Fishman, Reunion Blues, and Pig Hog cables, and a singer/songwriter who has continued to release a consistent stream of original new music, the ever-evolving Katie Garibaldi has proven to be an artist with staying power. Dec 9 Call Answered: Jessica Morris: "One Life To Live", "Ladies of the Lake", "A Christmas Cruise", "The Wrong Man"